The Good Samaritan Food Pantry in Adel serves the school districts of Van Meter and ADM (Adel, De Soto, and Minburn). The pantry regularly distributes over 4000 cans each month, and the need continues to grow. 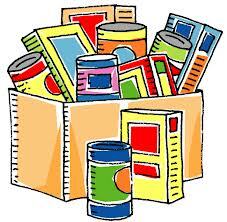 Cash donations are wonderful because the money can be used for purchases at the Food Bank of Iowa at 14¢ a pound. Donations of goods are, of course, also welcome. Contact Janice Miller or Sheryl Van Syoc if you would like more information about our church's involvement, or if would like to help out.